A quest to identify new business opportunities and an aptitude to creatively overcome challenges led Ravi’s career in an unanticipated direction. Fascinated with math, technology, and systems from an early age, Ravi pursued an education in electrical and biomedical engineering. He obtained a Bachelor’s degree in Electrical Engineering from City University of New York and completed the course work for a Master’s degree in Biomedical Engineering from Drexel University. His profession, however, developed in a different direction when he recognized and pursued a business opportunity in the financial arena. Ravi co-founded a financial news, data, and content business and led the rapid growth of the company from a 2-person startup to a global news agency with 150+ employees. His ability to lead, build strong client relationships, negotiate, and form partnerships enabled the company to successfully navigate through 9/11 and the 2008 financial crisis. Under Ravi’s guidance the company was recognized as an accredited news agency by Congress and the White House and authorized as one of only 20 global companies to distribute US economic data. 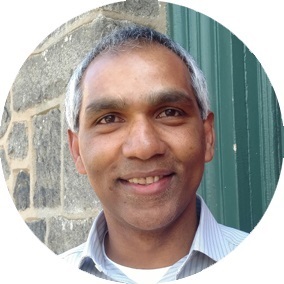 Prior to joining FourFront, Ravi also served as VP of Client Engagement for a business process management company focused on healthcare solutions. He has over 20 years of diverse experience in programming, product development, client management, operations, and business development. Ravi’s understanding of content, data analysis, and client solutions is a natural fit to guide FourFront clients in achieving their digital visibility and data analytics objectives.